Big high-end CPU? 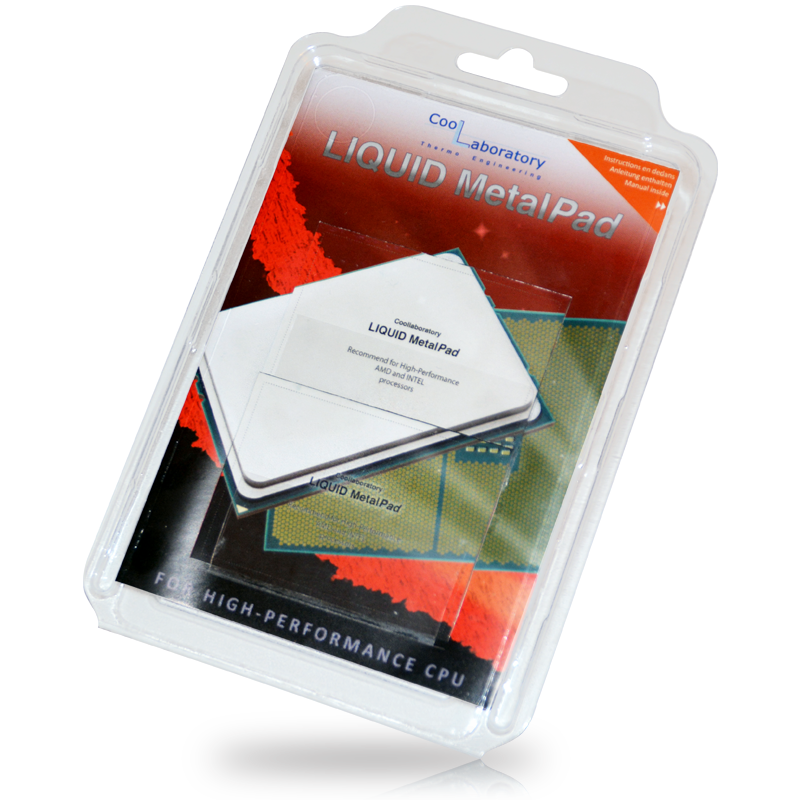 No problem – just use the Liquid MetalPad! Current processors from Intel and AMD are getting bigger and bigger, which causes great difficulties for PC users in terms of cooling. With our normal Liquid MetalPads, the PC users could only laboriously cool the oversized processors. But with our brand new Liquid MetalPads for high-end processors, this is no longer a problem! With a fabulous size of 67 x 50 mm, this Liquid MetalPad even fits on the huge AMD Threadripper to create an optimal connection between processor and CPU cooler. Brilliant? We also find that! Therefore, access now – in the Coollaboratory online store and shortly at the local computer retailer! Previous Previous post: It’s getting hot!